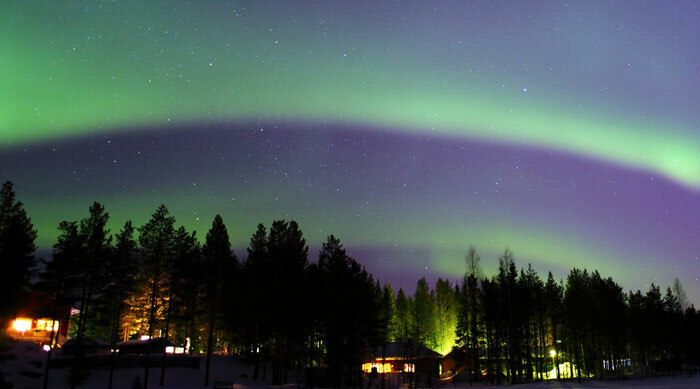 There are few experiences that appear on ‘bucket lists’ as frequently as the Northern Lights, and here at icelolly.com we’ve compiled a list of the best places to view this amazing phenomenon. Although the odds are in your favour during the winter season the Lights are notoriously elusive, so try to book for at least three nights to optimise your chances of a sighting! 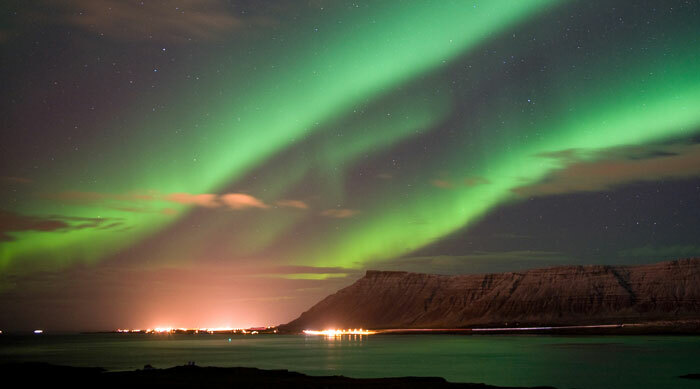 Reykjavik is probably the most accessible and affordable place to see the Northern Lights; you can fly directly there and a 30-minute drive will get you far enough away from the city lights to get a great viewing of the Aurora. However, if you want a more special viewing experience, there are plenty of options to make your trip even more memorable. Try the Jokulsarlon Glacier Lagoon, where floating glaciers reflect the lights overhead, or check into a rural boutique hotel where you can watch the lights from a naturally-heated hot tub. 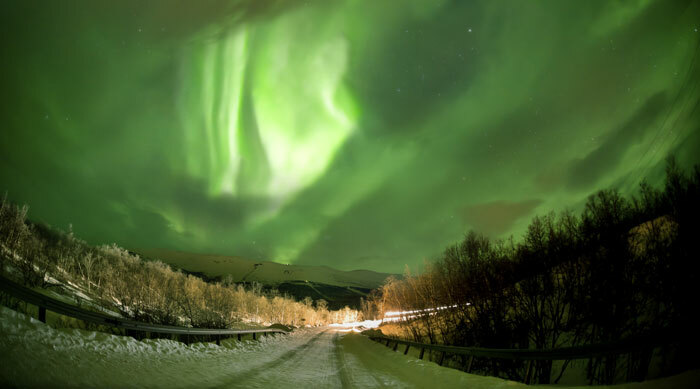 The small village of Abisko lies 4km outside the Abisko National Park, generally considered to be one of the best places in the world to view the Northern Lights. The Abisko Mountain Resort is the only hotel in the Park, and from here visitors can take a chairlift up to the Aurora Sky Station and watch the Lights from its outside deck. Add an extra experience to your trip with a stay at the famous Ice Hotel, where you can take part in dogsledding, snowmobiling or cross-country skiing. The hotel is uniquely designed every winter before melting away the following spring. 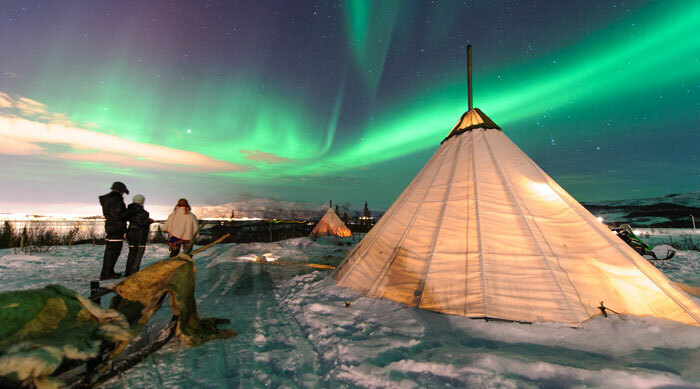 Tromsø is one of the most northern Scandinavian cities, and a great place to see the Northern Lights. Even from just outside the city you have a fairly good chance of seeing the Aurora most nights between November and March, or to further improve your odds you can travel to Lapland where the Lights are visible almost every clear night from October to March. For an extra wow-factor, book a boat trip and watch the show from the deck of a traditional steamer ship. The beautiful Oulanka National Park is a great place for seeing the Northern Lights, with minimal artificial light around to dilute this amazing spectacle. While you’re waiting for darkness to fall, take advantage of the many exciting activities on offer such as dogsledding, snowshoeing and igloo-building, or relax in one of the saunas or hot tubs at base camp. Alternatively, head to Kakslauttanen Holiday Village near Ivalo for a truly special living experience; aside from charming log cabins this village also offers heated glass igloos, allowing you to watch the Aurora from the comfort of your own bed. Alaska is a great choice for those looking for action-packed adventure alongside their Northern Lights viewing. In addition to the regular activities offered such as snowmobiling and dogsledding, visitors to Alaska can also undertake glacier tours and bear viewing tours. Luxury is also on offer; several resorts have hot springs where people can soak their muscles while watching the lights above. 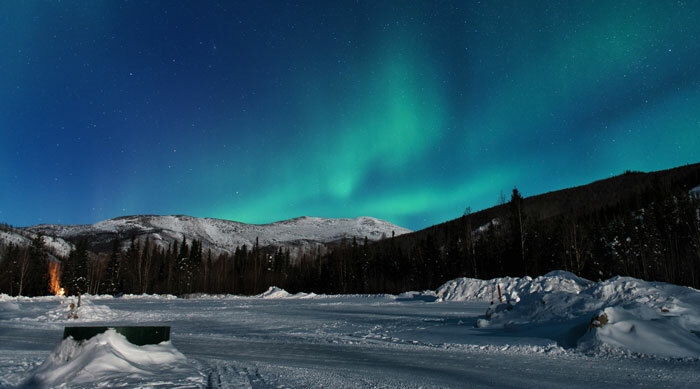 Although Fairbanks is further south than most European viewing locations, tour companies regularly take people north into the Arctic Circle for better chances of a sighting.